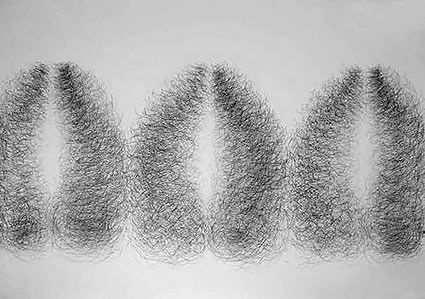 London Gallery West is pleased to present an exhibition of drawings and sculptural works by Harrow-based artist Dulari Sumaria. Born in Kenya, Sumaria has lived in London since 2000. Her practice combines eastern and western thought and culture; drawing on ancient Indian mythology, Tantric tradition, Jain and Buddhist concepts of transcendence and Western art practice to explore metaphysical polarities of action and meditation, mind and matter. Sumaria sees the physical process of drawing as part of a spiritual quest; the energy, rhythm, movement and stillness of mind combining to create a consciousness simultaneously spiritual and sensual, real and relative. 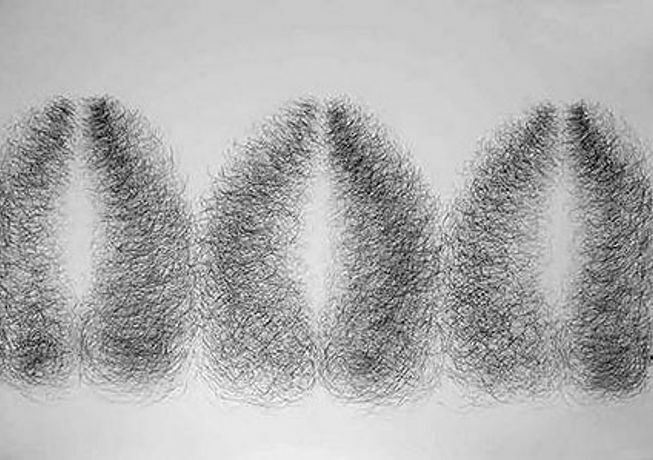 The gesture drawings exhibited explore patterns of energy aroused by sound vibrations. Created at the cusp between action and meditation, they emerge from a series of repeated acts over an extended period, a methodology necessitating the artist?s full awareness of her bodily movements. She describes the making process as ?pure rhythm animated by intense energy? a return to a non-verbal, pre-linguistic state.? A film of the artist at work is projected alongside the resulting pieces. The work embodies of a view from Eastern mythology of all things of the universe as interconnected in an eternal dance of life. For Sumaria, the art object does not consist merely of thoughts and desires tied to the finite world, but signifies a confrontation with an inner consciousness. Working in silence, she immerses herself in the moment in an attempt to recognise the fundamental unity of the physical and spiritual worlds. Earlier sculptural works are also presented; organic, abstract pieces which are non-representational but allude to natural life forms. Viewed together, they build a vocabulary of shapes that serve as a metaphor for the physicality of the body. In experiencing this multifaceted mass of shape, form and colour, the viewer?s position of solidity and singularity gives way to an appreciation of mutability and becoming.